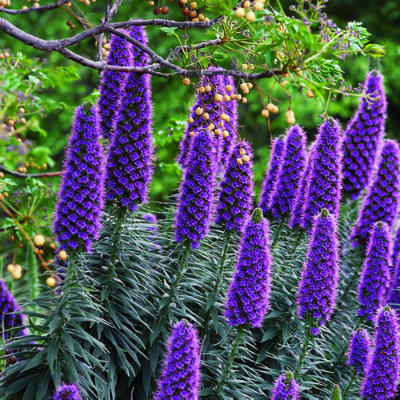 Actually from Madeira, this plant produces wonderful spikes of blue-purple flowers along the coast in poor soil and with practically no extra water. Bees love it. 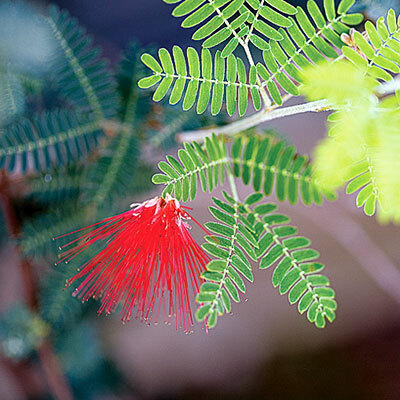 Hummingbirds love bottlebrush, a shrub with colorful flowers carried in dense, bristle-like spikes. Needs moderate water. 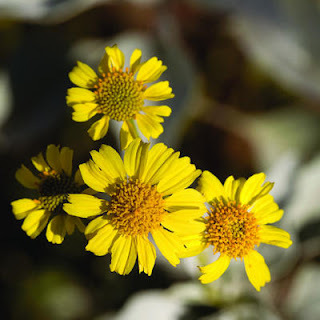 The vibrant, often vining bloom reaches its peak in summer, but in mildest-winter regions flowers may appear from spring through fall, and even into winter. 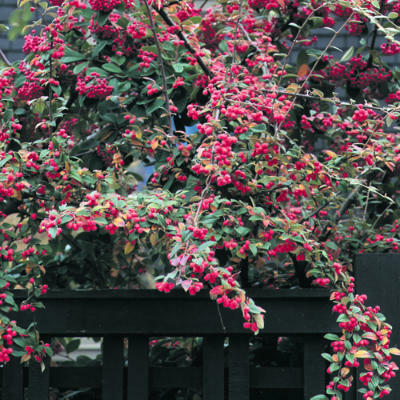 Clusters of red fruits last a long time among the dark green leaves of this evergreen shrub. 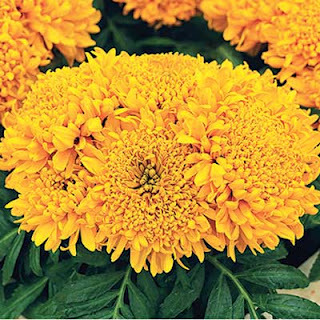 Thrives in full sun, with minimal to moderate water. 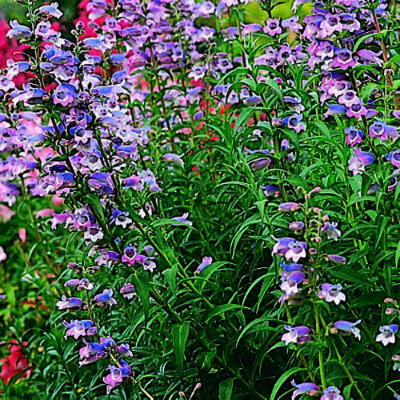 Fluffy blooms in a wide variety of brilliant colors atop tall stems are the signature of this easy-to-grow flower. This shrub bears a profusion of bright yellow daisies. Needs minimal watering. Clusters of rose-purple flowers cover this shrub in fall. 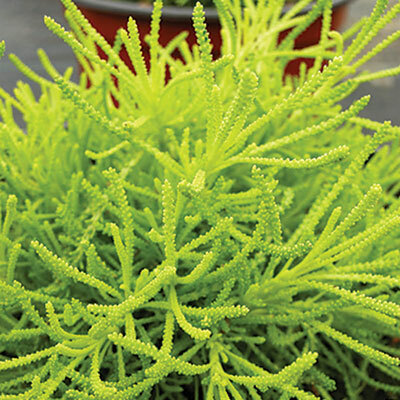 Needs minimal to moderate watering. This is the signature plant for many hot-summer regions. 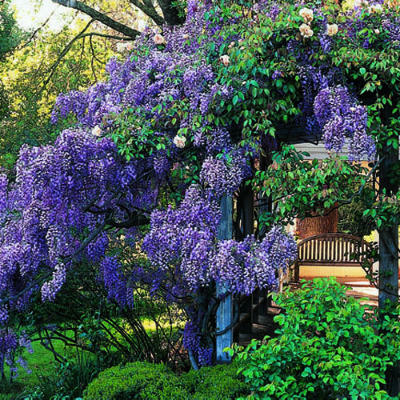 It’s hard to beat the showy summer flowers, beautiful bark, and brilliant fall color. The desert native with grooved, spiny branches can survive on rainfall but grows and blooms best if soaked deeply once a month. This heat-tolerant shrub sports trumpet-shaped flowers in a variety of orange-yellow-red hues and leaves that divide featherwise into many leaflets. 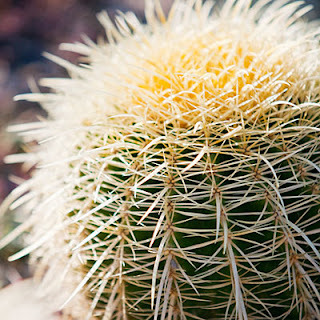 The desert plant thrives in full sun and heat with very little water. It comes in many varieties; pictured here is golden barrel cactus, with golden spines that eventually yield small yellow flowers in summer. 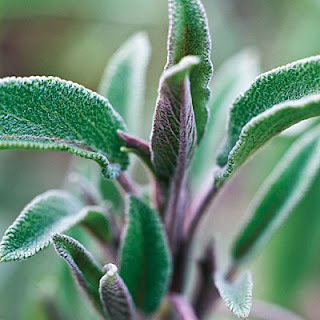 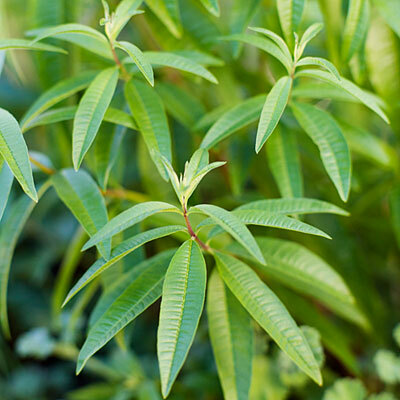 Leaves of this shrubby perennial are flavorful and aromatic, which makes them a favorite for cooking. 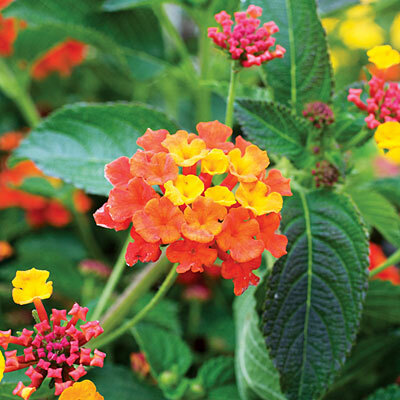 Tiny flowers in vibrant hues bloom all year in mild climates. 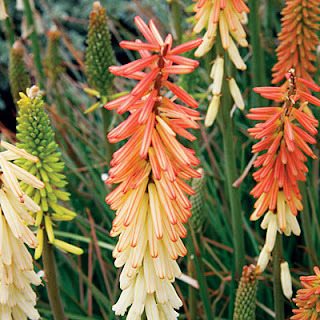 Flowering stems resemble glowing torches—or pokers (hence the name). 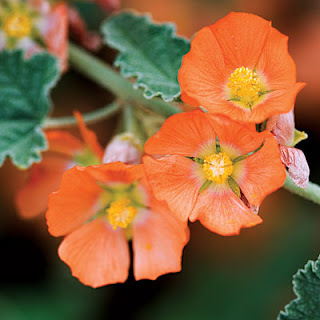 Large and showy flowers bedeck this plant native to the Southwest and northern Mexico. 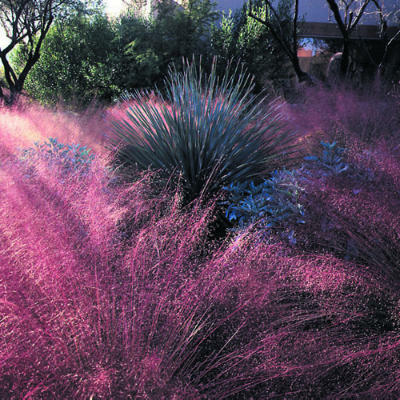 It grows best in mild, dry climates. Downy stems bear flowers in summer. Its purple buds open to intense blue flowers that attract bees. The leaves are dark green, small, and quilted, and the plant needs no summer water. This grass sprouts dense clusters of bright green leaves and yellow or purplish flower spikes in autumn. This low-growing plant with white blooms in summer makes for excellent groundcover and performs equally well in mild and cold climates, coastal and desert areas. 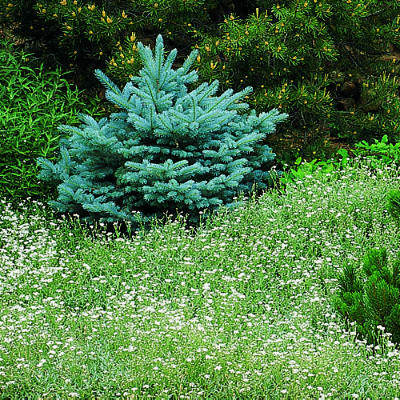 Ranging from low ground covers to large trees, these widely grown plants are conifers, though they produce fleshy, berrylike fruits instead of woody cones--and need very little water. 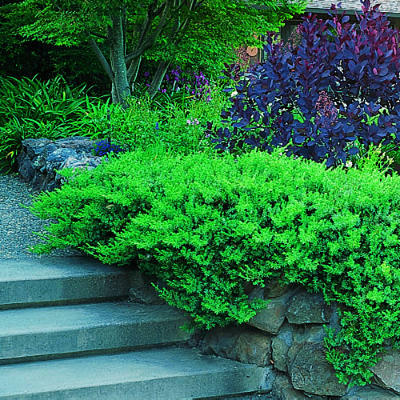 This evergreen shrub, with fine, bronze foliage, can be trained into a tree. 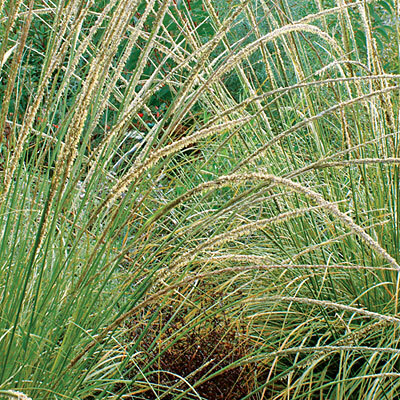 Needs minimal to moderate water. 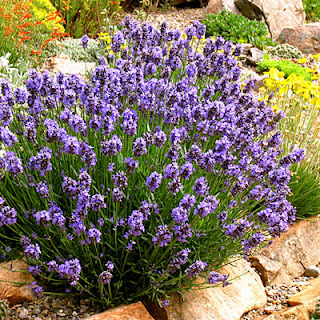 Spanish lavender (Lavandula stoechas) has deep purple “rabbit ears” that stand out in garden beds. The plant thrives with only moderate water. 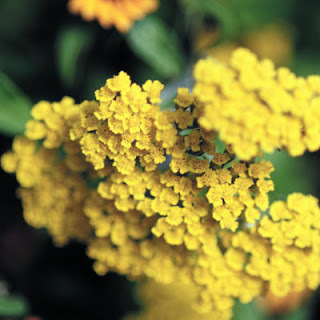 The fun every-which-way foliage sprouts yellow button-head flowers. 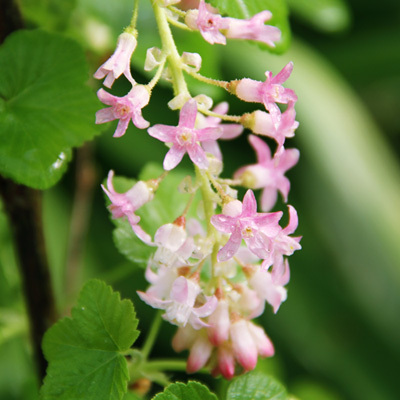 It can vary from creeping groundcover to a treelike shrub, but all types have small white or pink flowers, usually in late winter to early spring, followed by berrylike red or brown fruits that attract birds. 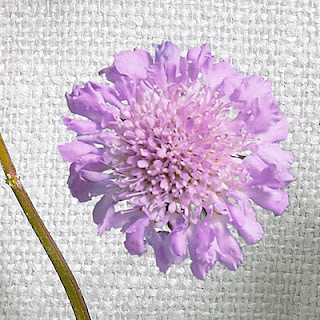 The papery blooms of statice (Limonium) retain their color when dried. 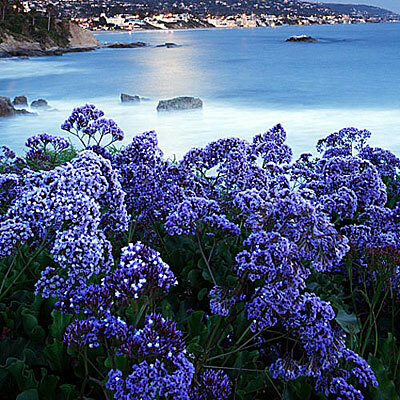 It requires moderate water. 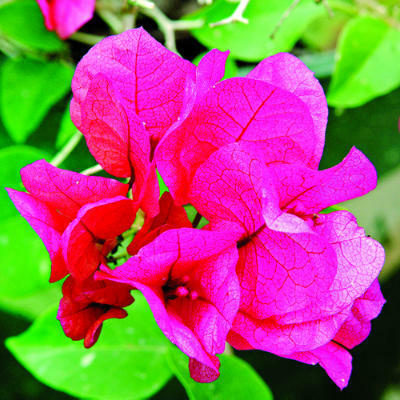 The flower's searing color and strong aromatic scent make is especially exotic. 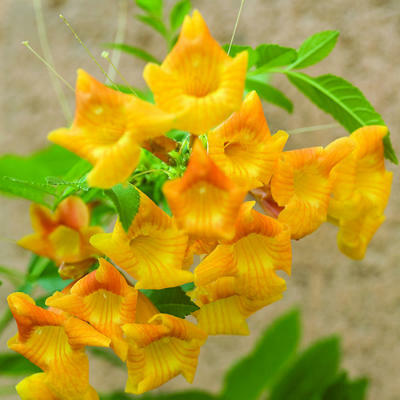 This bushy plant is fairly short lived, but to make up for it, it produces lots of trumpet-shaped blooms over a long period. Pink-hued blooms give way to fruit: currants or gooseberries, depending on the variety. Dramatic leaves and striking blooms of yellow, red, or orange makes a wide varieties of aloes all-around perfect. 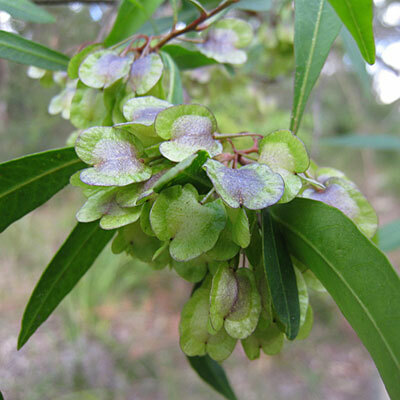 A tall, lanky deciduous shrub, it has aromatic leaves and lilac or white flowers. Sea holly (Eryngium amethystinum), whose silvery blue stems are topped with amethyst flower heads, attracts butterflies and needs moderate water. 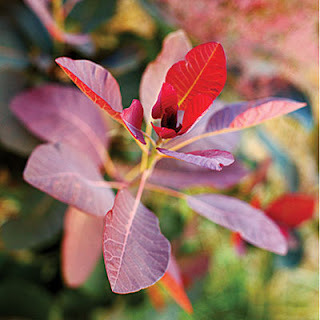 Leaves emerge pinkish and bronzy red, then turns to soft light green; they take on purple and bronze tints in fall and often turn fiery crimson in winter, especially in a sunny location and with some frost. 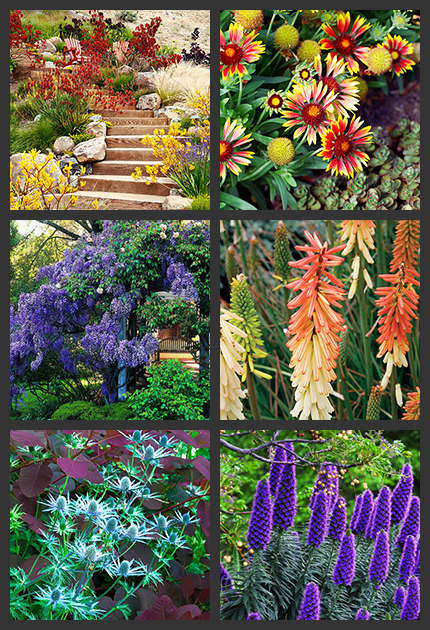 These pretty blooms come in colors ranging from white to shades of yellow, pink, salmon, and red. 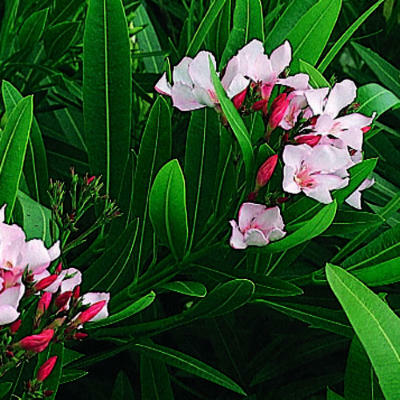 Oleanders need little water once established. 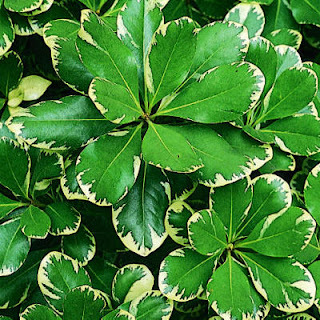 Its sculptural foliage makes this a great plant for a screen or windbreak, but it works wonderfully as groundcover or a container planting, too. 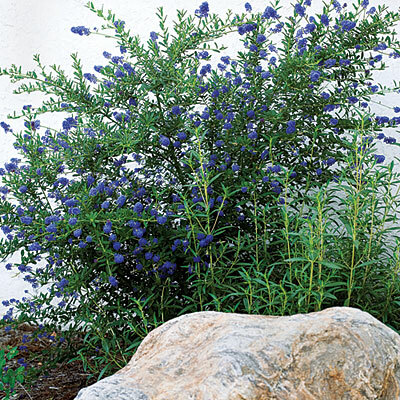 This deciduous shrub with purple foliage turns more burnished in fall; flowers resemble puffs of smoke. 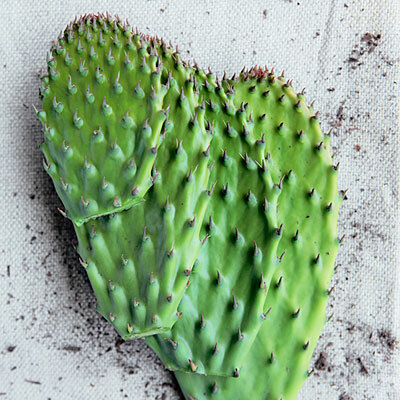 Requires minimal water. 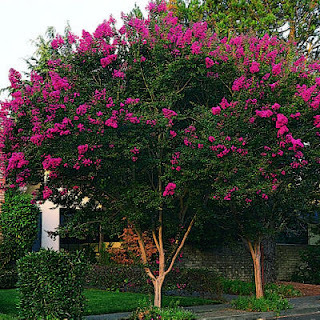 The plants make great informal hedges, start blooming in January and February, and pump out showy colorful flowers for cutting. 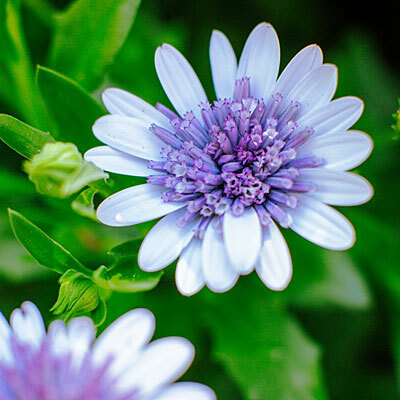 African daisy (Arctotis), with blooms that can range from brilliant orange to cool purply-white, needs moderate water. 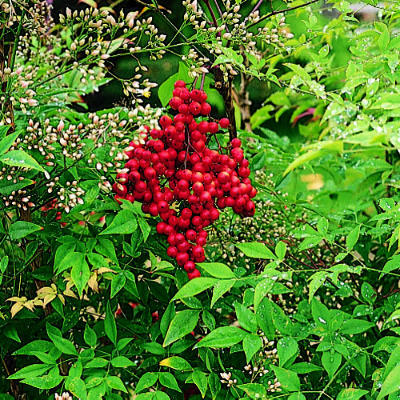 Puffy fruits the size of olives turn from yellow when young to red when mature. 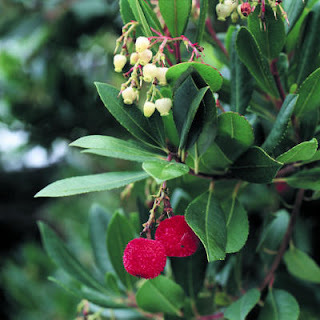 The fruits are borne at the same time as urn-shaped flowers among dark evergreen leaves. It requires moderate to minimal water. Rockrose adds resinous perfume to the garden as well as showy, papery flowers. Sun loving and fast growing, the flower is tolerant of aridity. 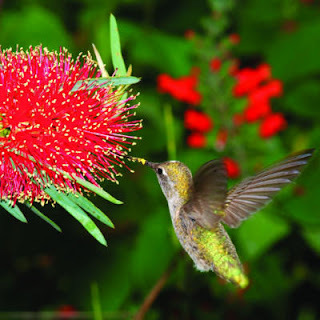 The shrub attracts hummingbirds with its brilliant red stamens that resemble powder puffs. 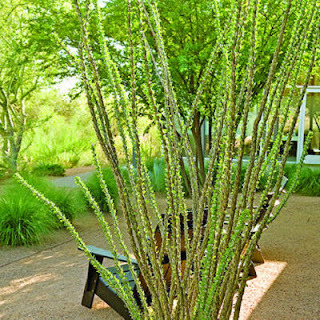 Use it as an accent in front of a living ocotillo fence or as a backdrop for small blue agaves. 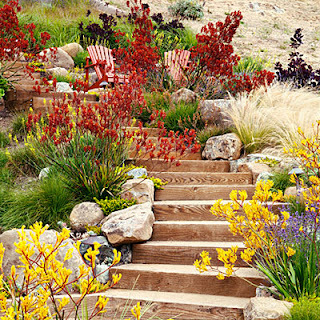 Needs minimal water. 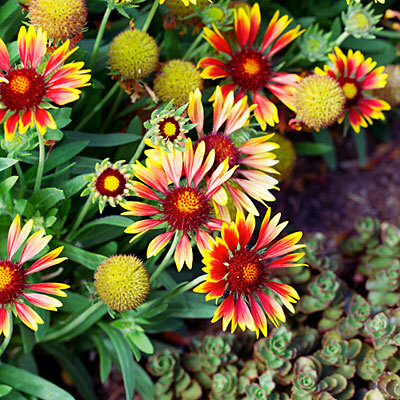 Blanket flower (Gaillardia) features gorgeous golden tips and requires moderate water. Velvety kangaroo paws (Anigozanthos ‘Orange Cross’ and Bush Gems series) add spicy color against golden grasses in a garden in Tiburon, California, designed by Arterra Landscape Architects (arterrallp.com). 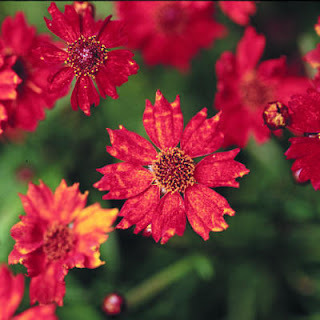 The plants tolerate drought but flower best with some water in summer and excellent drainage in light sandy soil. 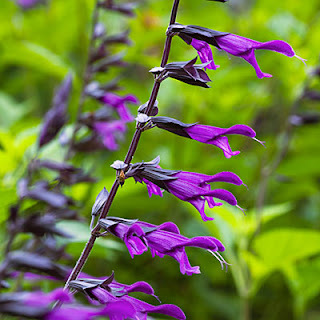 Hummingbird favorite Salvia‘Amistad’ grows fast to 4 feet tall with little water. 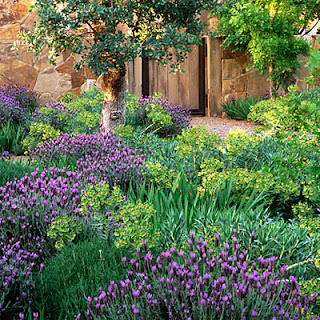 In this Napa Valley garden designed by Ron Lutsko (lutskoassociates.com), clusters of chartreuse Euphorbia rigida add a spritz of lime. 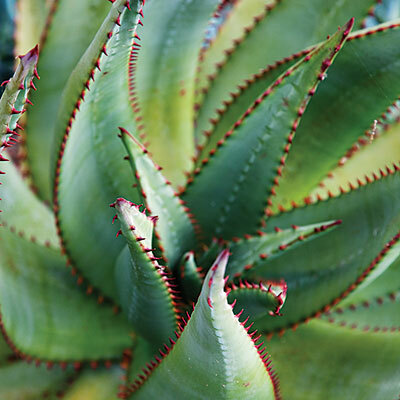 The plant thrives with only moderate water. 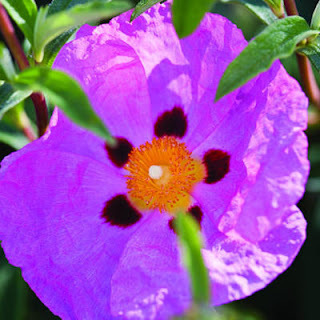 Large, colorful flowers fleck this unthirsty shrub all summer long. 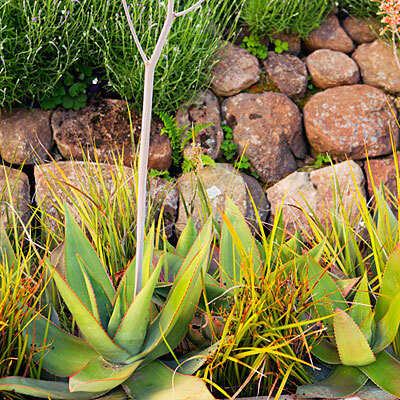 These succulents' sculptural shapes make them perfect candidates for bold, contemporary gardens. 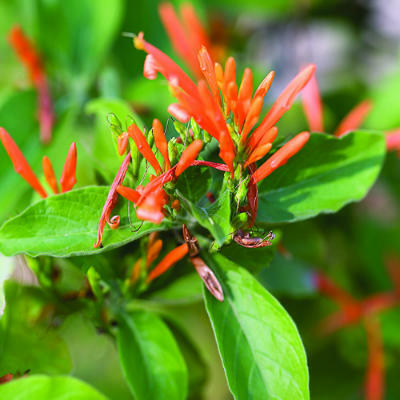 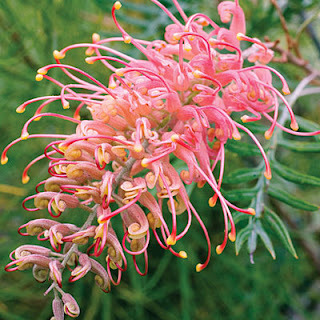 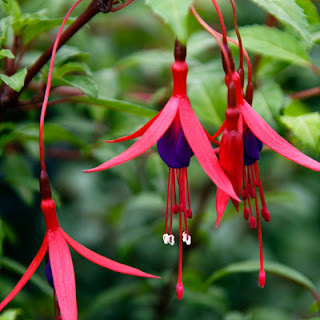 Hummingbirds can't resist this sun-loving flower that produces spectacular blooms for months. 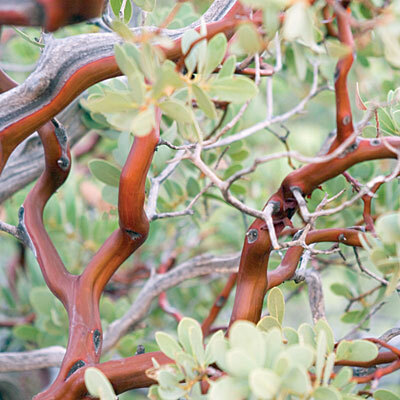 This highly adaptable plant can be grown as trees, shrubs, or vines. 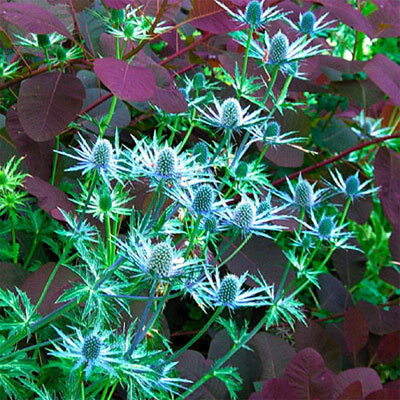 All have large, fresh green leaves divided into many leaflets, and spectacular clusters of blue, white, or pinkish springtime blossoms.